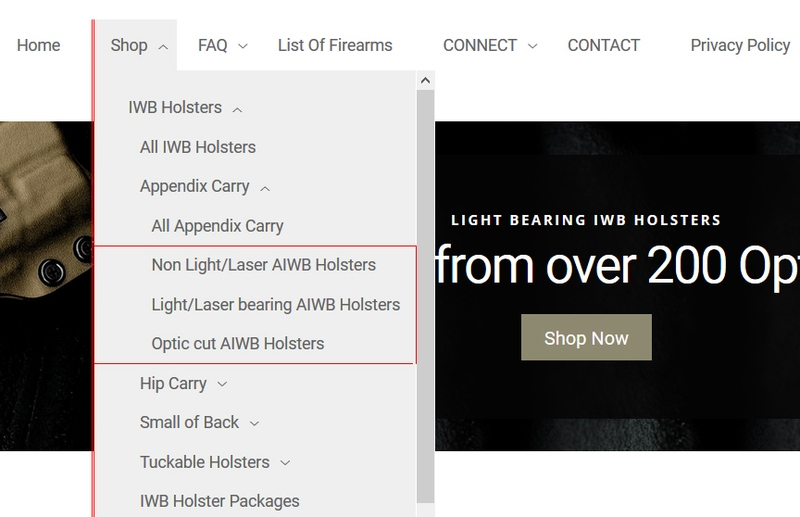 Choose the type of holster you want by clicking 'SHOP' on the Menu. 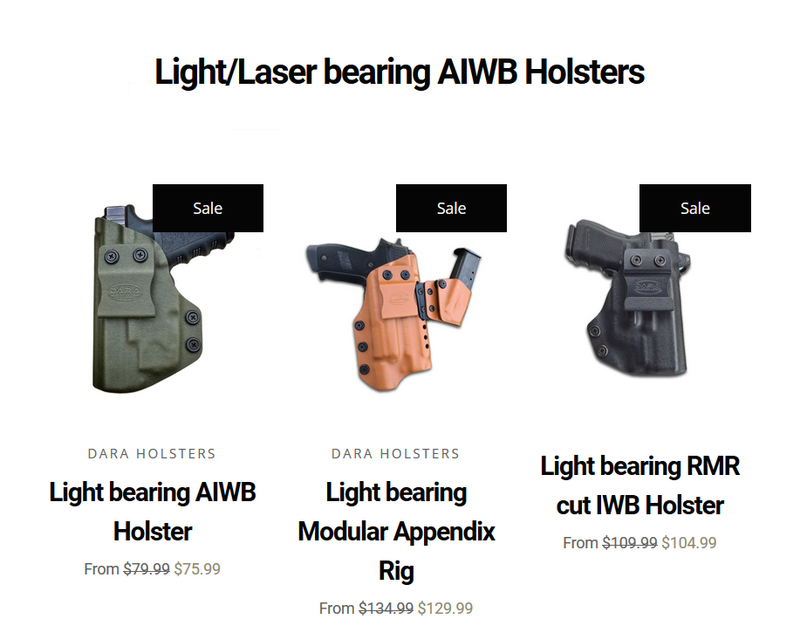 Click on the type of holster that you are looking for; you will be brought to the section of holsters that suits your needs best. Click on the product you need to begin the order process. 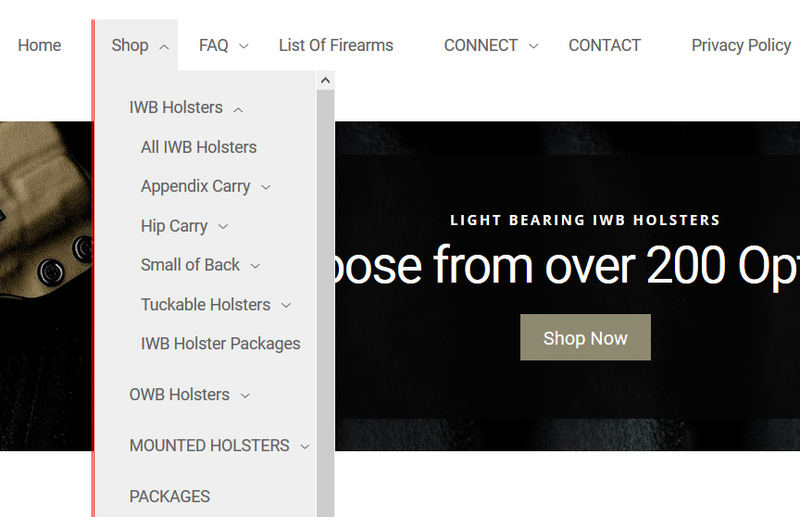 On the holster product page, You'll be asked basic questions about how you want the holster to be configured. Please Note: There are TWO (2) Firearm Drop Down Menus for each Non Light/Laser bearing Holster. If you are unsure about which model of firearm to select, PLEASE CONTACT US prior to ordering. Custom, made to order holsters are NON REFUNDABLE. For other questions regarding Holsters, Colors and Belt Attachments, please see our FAQ Page. For Questions about Cant Angles and Ride Heights, visit our Ride Height//Cant Angle FAQ Page, here.